Stan Robb first entered rural real estate in 1990. Prior to that, Stan owned and worked a 100 hectare deer farm and 6 hectare kiwifruit orchard. 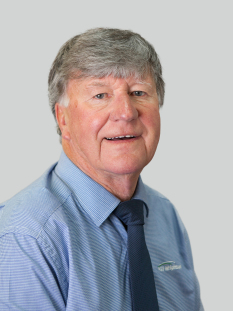 Stan’s success in rural sales is second to none and since joining PGG Wrightson Real Estate in 1995, has on nine occasions been No. 1 in New Zealand for total revenue (including 2016 and 2017), 2nd five times and 3rd twice. He has also topped unit sales nine times. Stan specialises in orchards and dairy farms, and works in tandem with his son, Chris, to form a team which is there to assist both vendors and purchasers.